Are your summer days packed with activities and dinner becomes a big headache? 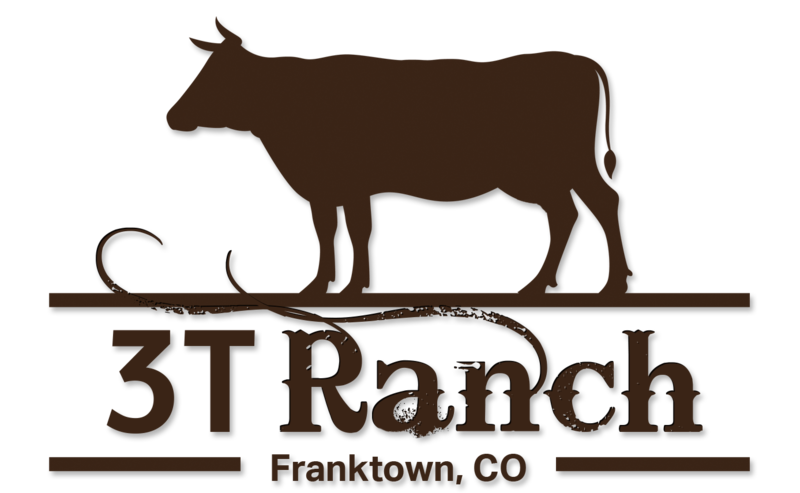 The 3T crew is busy with ranch construction projects, fixing fences, transporting cattle to summer pastures and the kids have their own summer activities. Plus, we have decided to get not one, but two puppies.. I know, who does that? 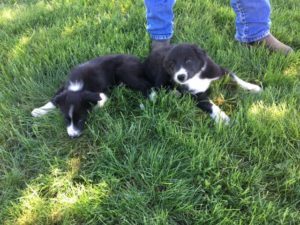 Their parents are great cattle working dogs and we could always use help to work our cows. So, I don't know about you, but by dinnertime, I'm pretty tired. Here is an easy summer recipe, so you can enjoy dinner on your deck or patio. Nobody wants to spend a couple of hours making dinner. Even better.. The InstaPot or CrockPot will do the cooking for you in this recipe, so you can enjoy a Margarita while dinner is cooking on its own! 1 can (7.76 oz) LaCostena Chipotle Sauce or Chile in Adobo Sauce (if using Chile in Adobo Sauce - use two peppers and scrape out the seeds, then use all of the sauce from the can and discard the rest of the peppers It would be too spicy to use all of the peppers). Cut up your roast into bigger chunks. (I think the beef cooks better vs just putting in the whole roast). Set your InstaPot on "sear" and pour in 1/4 cup of canola oil. Dry off your beef chunks with a paper towel and season with salt and pepper. Now, that the pot is hot, sear the beef chunks on all sides. Take out the beef. Time to sauté the onion and bell peppers. Give it a couple of minutes to sauté the veggies before adding the garlic. You don't want the garlic to burn. Cook until all veggies are tender. TIP: if your onion is getting a little burned before being tender add a little bit of water to the pot. Add oregano, one can of Chipotle Sauce and one cup of beef broth and stir all together. Beef goes back in the pot, close the lid and set your InstaPot on "Beef Stew". Depending on your InstaPot setting, your beef will be done in about 60 minutes. If you are using steaks, you can cut down the cooking to 35 minutes. You can certainly use CrockPot for this recipe as well. Heat your skillet and add 1/4 cup of oil. Sear the beef in a skillet on all sides. Take out. Put in the CrockPot - oregano, one can of Chipotle Sauce and two cups of beef broth and stir all together. Beef goes in the CrockPot. Set you CrockPot for high for 4 hours. (I don't like to cook my beef on low in the CrockPot. I think the beef gets too dry on the low setting). Make sure to check your liquid levels during cooking. Beef is done, time to serve it to your crowd. You can certainly shred the beef, but we do like the beef in chunks. You can cut the beef into bitesize chunks. The beef is juicy and tender, you can discard the sauce the beef was cooking in. (Or you can certainly skim off the fat and reduce the liquid in a sauce pan. It will have a kick. The beef on its own is not spicy). 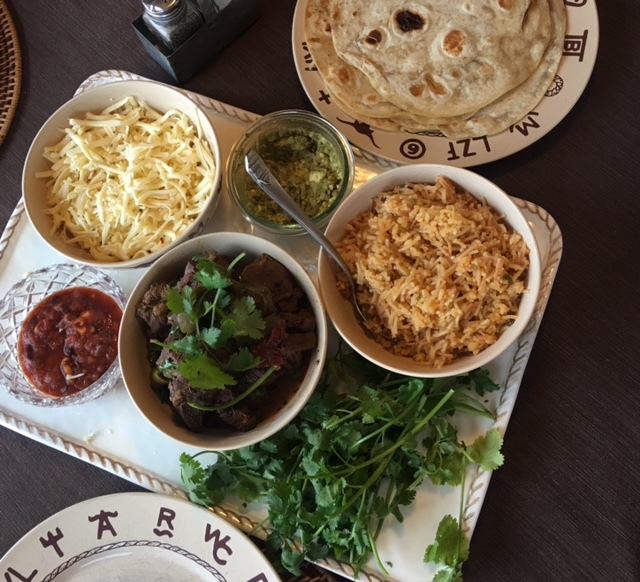 I typically serve the beef with rice, guacamole, salsa, pepper jack cheese and Costco uncooked flour tortillas. I know it adds another step to your cooking, but it is so worth it! And if you really want to step it up.. Here is a recipe for Homemade Corn Tortillas! Place masa and salt in a bowl and throughly combine with the fat, mixing with fingers or a whisk. (KitchenAid works great for this). Slowly stream in the water while mixing until the dough comes together into a ball. Turn the dough onto a lightly floured surface and knead until smooth, about 1 minute. Divide the dough into 12 portions and form each into a smooth ball. Place masa balls on a baking sheet, cover with plastic, rest for 30 minutes. After the dough has rested, preheat a cast iron skillet over medium-high for 5 minutes, then reduce heat to medium. If the dough has dried slightly during resting, wet hands and roll each ball again to moisten. Place the dough between two sheets of plastic wrap and place directly in the center of the tortilla press. Press down firmly, then durn the tortilla 90 degrees and press again. Transfer it into the hot skillet. Cook the tortilla until brown spots appear on the bottom, about 1 minute. Flip with a thin metal spatula, and do the same on the other side. TIP: Sur La Table has many great gadgets how to keep you tortillas warm while you are cooking the rest. The homemade tortillas might sound intimidating, but they are really easy. I have taken a class at Sur La Table with my friend and the tortillas were piece a cake to make and the flavor was amazing!! 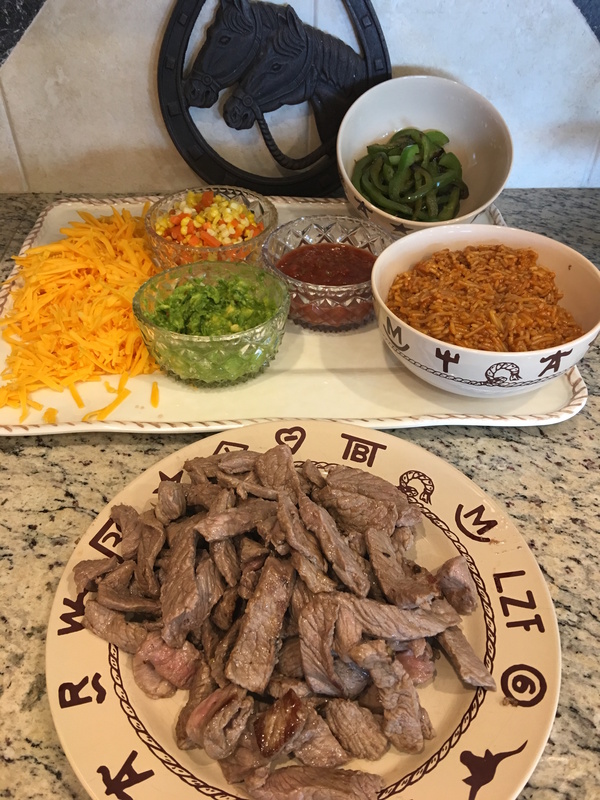 We like to use the round steak cut for fajitas. I cut my steak thinly against the grain and fry it with just a little splash of oil in my cast iron skillet. Make sure your skillet is preheated. This cut is super lean and it doesn't take very long to cook. You want to see some pink before taking it out of the pan. Seasoning is very simple, salt, pepper and little bit Wildtree Asada seasoning.